We are proud to announce that the Versailles Owners Association has selected Tinnelly Law Group as its corporate counsel. 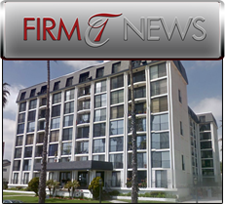 Located in the City of Long Beach, the Versailles mid-rise building consists of 86 gorgeous executive condominiums centrally located between downtown Long Beach and the Belmont Shore community. The Versailles condominiums are steps from the beach and enjoy amazing shoreline and ocean views from their floor to ceiling windows. We look forward to working with Versailles and to developing another lasting relationship with a condominium association client.